This Is Life with Lisa Ling TV show on CNN. Season three premieres September 25th. (Photo: David S. Holloway/CNN). Below, check out a preview of the This Is Life with Lisa Ling TV show’s third season on CNN. Season three premieres Sunday, September 25, 2016 at 10:0pm ET/PT. The eight-part investigative series is produced for CNN by part2. Ling, Amy Bucher, and David Shadrack Smith executive produce. In This Is Life with Lisa Ling, CNN says Ling will have “exclusive access” to the LA County Jail. She will also interview female MMA fighters; attend “a wedding behind bars”; embed with the Philly P.D; and be taught to code by Silicon Valley teens. Other upcoming topics include: legalized prostitution in Nevada; Chicago’s heroin epidemic; and state laws allowing rapists parental rights. Ling also has a new five-episode web series, This Is Birth with Lisa Ling. It drops (in full) to the CNNMONEY website, September 19th. That show focuses on how healthcare policy, income inequality, and cultural practices affect how Americans have children. 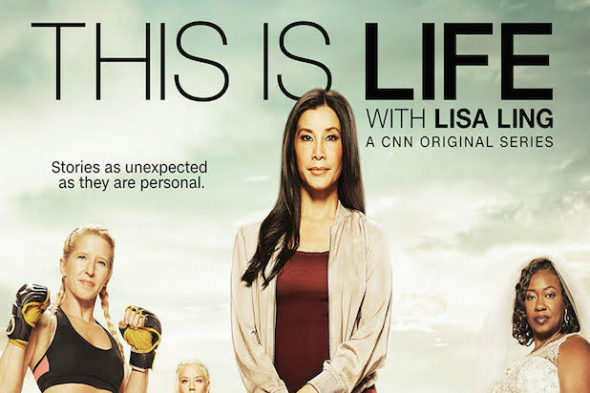 Watch the This Is Life with Lisa Ling TV series’ season three trailer from CNN. Learn more about both TV shows from this press release. What do you think? Do you plan to watch the third season of This Is Life with Lisa Ling? Which segments are you most interested in? Let us know, below. More about: CNN TV shows: canceled or renewed?, CNNMONEY TV shows: canceled or renewed?, This Is Birth with Lisa Ling, This Is Birth with Lisa Ling: canceled or renewed?, This Is Life with Lisa Ling, This Is Life with Lisa Ling: canceled or renewed? Thank you for Sexual Healing show it was profound. Your bravery unquestionable.